Birthdays happen to all of us. Occasionally we reach a milestone age – whether it’s our first birthday, becoming a teenager, reaching 18 or 21. As we get older then 30 and 40 become important ages , and then followed, perhaps oh too quickly, by 50 and 60 – and beyond. Whatever you plan to celebrate then a badge is a simple but effective way of making a statement to say that the milestone has been reached – and you going to celebrate it. 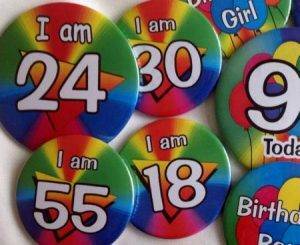 We have the traditional age badges which are available in all ages from 1- 100+. 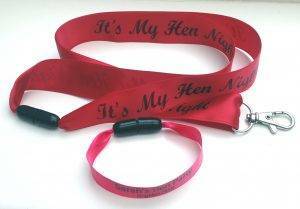 You can also customise one of our standard designs or you can totally personalise them with your own design and layout and include a photograph if you wish. 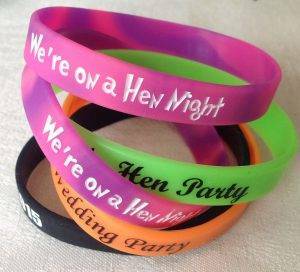 Whatever you decide to do to celebrate your birthdays, then we are here to offer help and advice on our range of customised party products. 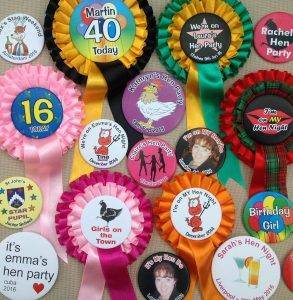 Any of the badge designs can be made into a rosette. Rosettes are availlable in a 1,2 or 3 tiers and a range of coloured ribbon. All rosettes are produced using box pleated ribbon for a top quality appearance. Birthday sashes are a great way to celebrate your birthday. So we can print whatever message you want on the sash. The message can be displayed on the front of the sash, on the back. If required, you can have it on the front and the back. The standard size for our sashes is 1800mm x 100mm, which is roughly 6′ x 4″. 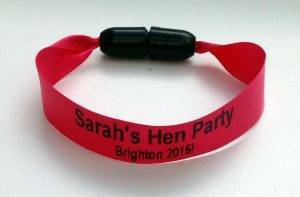 The area for the print is approximately 50mm on the chosen side, with a small margin top and bottom, just to clear the ribbon edge, which is normally sufficient for most messages. If the message needs to run on to 2 lines then normally we try to format the wording, so that there is one main line in bigger text and then a secondary line underneath. Of course we can adjust the sizes to suit your requirements. 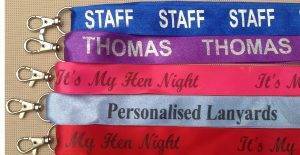 There is no minimum order for our sashes. 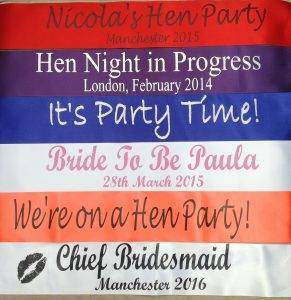 So, it is quite economical to order one personalised birthday sashes.